This review originally ran in the Tuesday, February 12th issue of Shelf Awareness for Readers. If you don't already subscribe, sign up here to receive a bi-weekly dose of readerly goodness in your inbox. In 1002, Emma of Normandy was sent by her brother, Richard of Normandy, to marry England's widowed King Athelred. The marriage, like so many of its time, was political in nature, meant to bind a peace between the English and the Normans in face of the ever-growing threats of Viking invasion. Teenage Emma soon finds herself wed to a much older man who sees her as little more than an annoyance; the only way to secure her place in the English court is to bear the king a son. But when the Viking threat becomes a reality and she finds herself falling in love with a man who is not her husband, she must decide where her loyalties lie--with Normandy or with England, with duty or with passion. Shadow on the Crown, Patricia Bracewell's debut novel, gives readers this story and more, basing its version of Emma's life on events recorded in the Anglo-Saxon Chronicle. According to Bracewell's author note, Queen Emma commissioned a written history of her life, but started her tale in 1017, leaving no record of her first 15 years in England or her marriage to King Athelred. 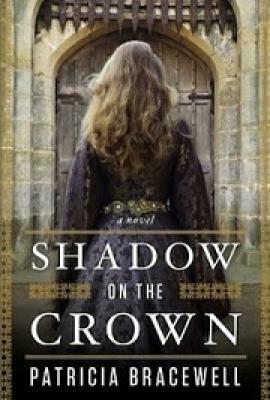 Shadow on the Crown is the first in a planned trilogy that will recreate this forgotten period of Queen Emma's life, combining historical accuracies with imagined romance and political intrigue in a novel that will fit nicely on the shelf between Gabaldon's Outlander and Gregory's The Other Boleyn Girl.